All photos by Darrell Hartman. Gentedimontagna contributor Darrell Hartman spent five days in Napa and Sonoma with his fiancée, Dana. The plan was to refresh with an exploratory, sun-soaked, flavor-filled "pre-honeymoon" before the final wedding planning push. It worked. WINE COUNTRY, California — Barely ten thirty in the morning and it was already a scorcher. We'd just arrived at the palatial . Goodbye, cooling Bay Area breezes; hello, inland heat. A handful of other guests were lined up at the reception window, eager to secure chairs at Coppola's oversized pool — but Dana and I had other plans. 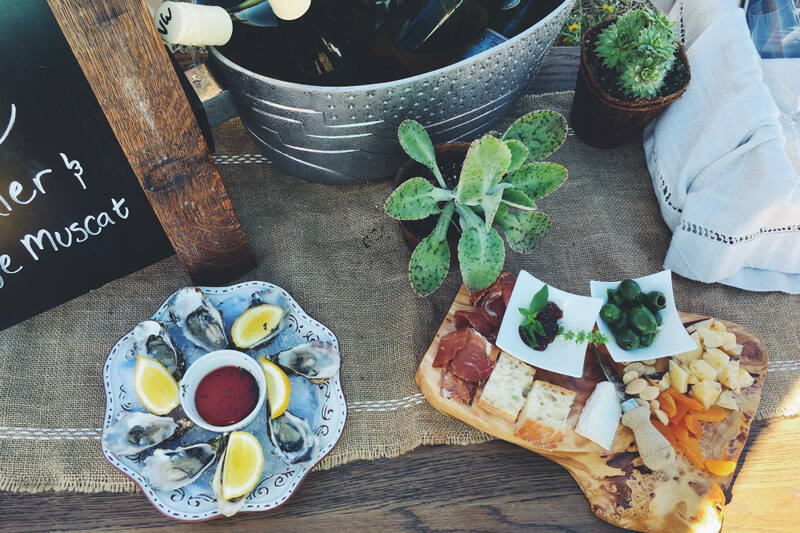 We were there for an early lunch with Sonoma County Winegrowers. We needed a little orientation — an introduction to where we'd be spending the next five days eating, drinking, relaxing, hiking, scenic-driving, and, basically, recharging as we headed into the homestretch of planning our fall wedding. It was to be the anti-Sideways, a trip through wine country during which everything goes right. Picking grapes at Francis Ford Coppola Winery. During lunch we learned a couple useful things. First, that Viognier is fantastic for summer day-drinking. The bottle of Coppola we ordered tasted of honeysuckle and white peach, and was crisp enough to cut through both our French fries and the scalding heat. Another lesson: Sonoma County is aiming to become America's first fully sustainable wine region by 2019. This progressive initiative seems quintessentially Sonoma. The differences between Sonoma and Napa, the counties that comprise Northern California wine country, are a topic of ongoing conversation. 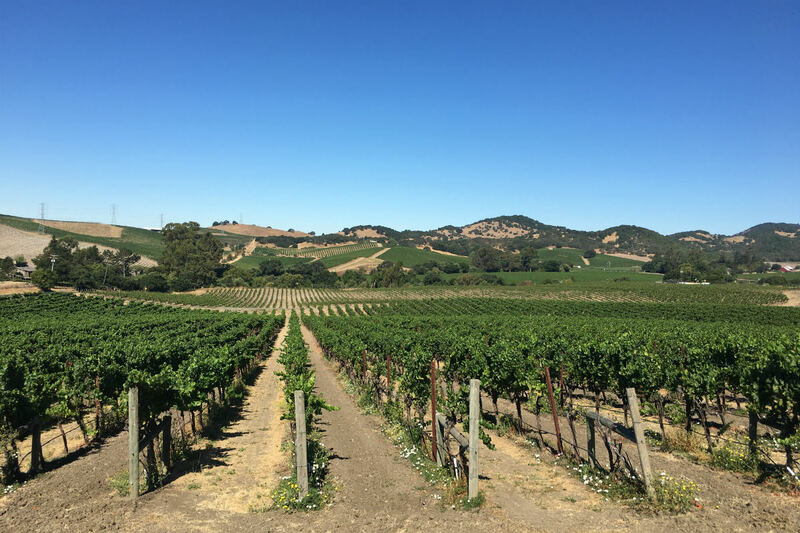 Briefly, though: Napa is more known for its winery estates, while Sonoma has far more vineyards and a diversity of soil types that allows its growers to cultivate a wider range of grapes (more than 60 varietals, in fact). 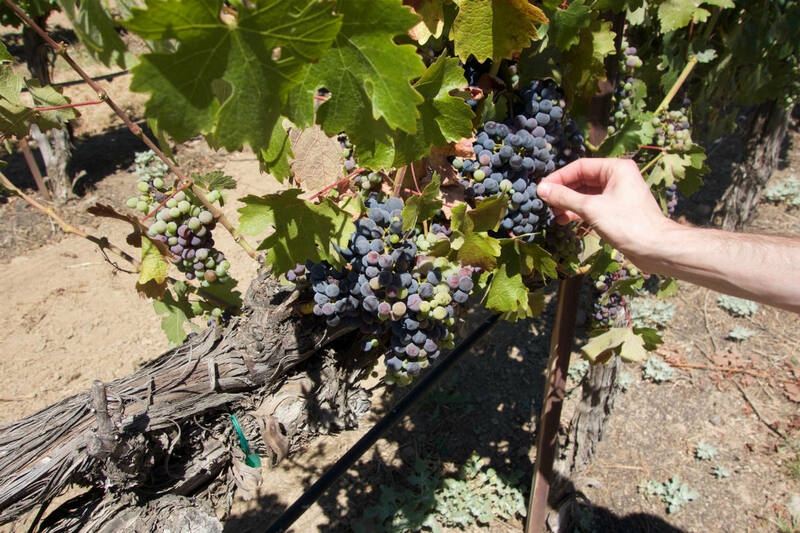 Such variety and a more modest scale are trademarks of Sonoma winemaking, whereas Napa, with its preponderance of global wine brands and established tourist industry, is still largely defined by Chardonnay and Cabernet. Sonoma wineries also seemed more likely to offer vineyard walks, which sounded appealing after our heavy pasta-and-pizza lunch at . We lasted 20 minutes in the vines before retreating to the air-conditioned haven of our rented Lexus IS 350 F Sport — luckily, in this heat, a white one; having a smooth and zippy little car made the curvy drive along Route 128 to Calistoga twice as fun. The pool at Indian Springs. 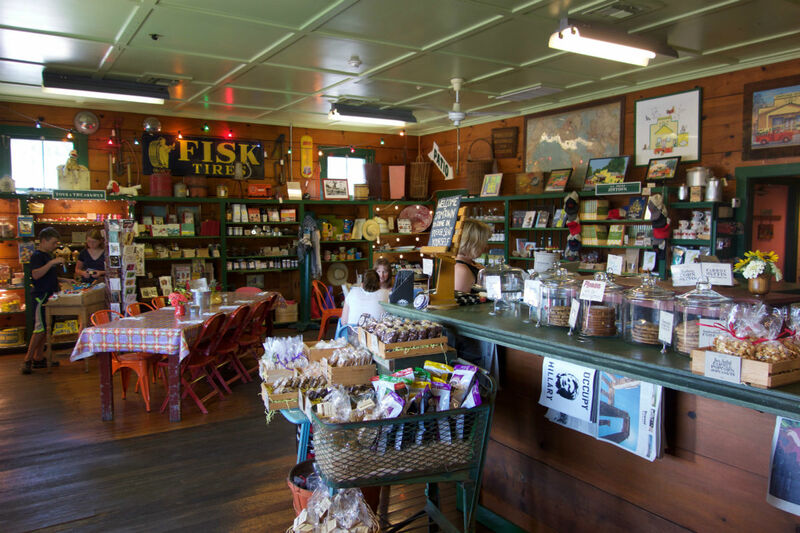 We made a pit-stop for cookies and kombucha at , which lured us in with its Steinbeck-era styling. (There was even a rusty old pickup truck out front.) But our next stop — meeting with Nick Bleecher, second-generation winemaker at — was something we very much had to set up in advance. He gives tours on on rare occasion, by appointment. We heard great things about his family's wine and were curious to see the dramatic settings in which it's made: a hanging garden of sorts at the tippy-top of Napa Valley, with vines planted along steep canyon walls. The quick tasting there was our introduction to the burgeoning "pursuit of balance" movement, which prioritizes subtlety over the bigger, bossier qualities for which California wine is known. Our appointments finished, we descended into downtown Calistoga and . A spa retreat since 1861, our hotel for the night was basking in the glow of a recent makeover: bungalows coated in fresh white paint, windows hung with Venetian blinds, and rooms graced with tangerine accents and a vibrant yet laid-back feel. We lay down for a moment and let ourselves be mesmerized by the slow whirl of the ceiling fan. More fans were whirling at the hotel's mid-century-style new restaurant, , where we started with a tangy gazpacho. We daubed spicy pepper jam onto mini-mountains of creamy ricotta. My grilled branzino with mushroom-fried rice was nice, but no match for Dana's summery mafalde, a house-made pasta brightened with snap peas and smoked piquillo peppers. We conked out early that night, more on account of the full day than the cherry-sweetened Moscow mules. I remember Dana's last words before passing out: The only thing I love more than you is bed. Post-yoga snack at Liana Estates. We rose early to soak up the geyser waters that give the resort its name. 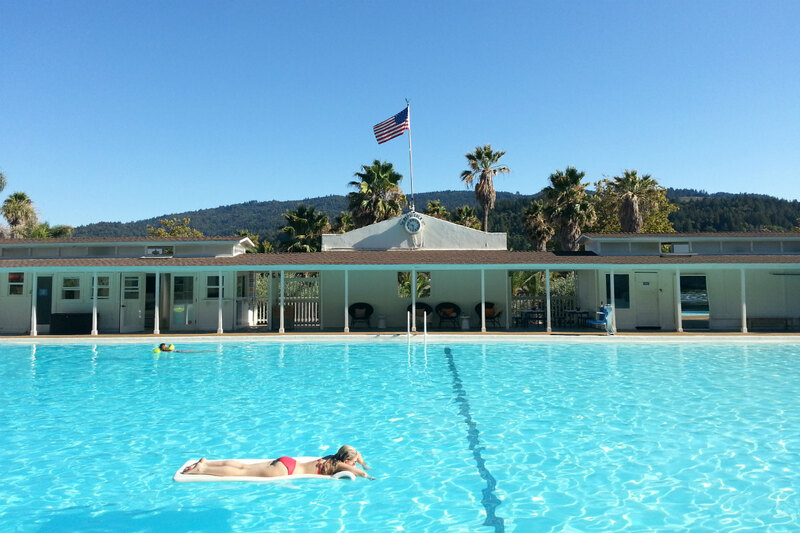 The Olympic-sized facility at Indian Springs is surely one of the best hotel pools north of LA County. I would have loved to book a morning mud bath for two, but a different form of pampering beckoned: an outdoor yoga session at , an experience-centered winery and retreat at the southern end of Napa Valley. Having tried its "Bubbles and Yoga" offering, I can now report that pigeon pose feels twice as good when you've got panoramic vineyard views, an ocean breeze, and a glass of chilled rosé inside you. We sat in Adirondack chairs afterwards, munching on Bodega Bay oysters, toasting our luck in life, and vowing to continue this new tradition of daytime Viognier after marriage, and not just on California road trips. Two months away from tying the knot, we'd entered a warm and beautiful honeymoon-ish place. We did eventually leave, in a relaxed and slightly sunburned state. Our home for the night was Yountville, a well-pruned hamlet that's been known for two decades as the home of Thomas Keller's awards-heaped restaurant French Laundry. It didn't take long to fall in love with our hotel, a five-room guesthouse called , where our room had a deep tub, a four-poster bed, and hand-painted frescoes suggestive of summers in Provence. The location — literally next door to Keller's other Yountville landmark, the original — was comically perfect. We recharged there with iced coffees (and, OK, maybe a macaron or two) before heading north for dinner at . Sharing a 130-year-old building with , this venture from a pair of Top Chef alums takes a boldly unconventional approach to wine. It charges no corkage fee, a rare thing in Napa, and offers only ten limited-edition vintages, each of which has been created exclusively for the restaurant by a local winemaker. Everything else is an import. Bolder still: the menu is small-plate Japanese. We started with fried chicken smeared in chili-yuzu sauce, then tag-teamed an overstuffed pancake. It was heavy with Japanese yam and pungent with green onion, and the heat of it caused its loose crown of bonito shavings to writhe like live creatures. We thought things couldn't get much better, until the Forbidden Rice (spiced with Fresno chilies, fattened with lap cheong sausage, crowned with a fried egg) sent us into a state of ecstasy. It was the best meal of our trip. The matcha soft-serve was the dessert equivalent of fine cashmere. The next morning, we treated ourselves to a couple hours of soaking and sunbathing at Sonoma's . (It was a class or two above our hotel, the El Pueblo Inn.) Armed with day passes, we took to the Fairmont's hot-water tubs, sauna, and steam room. I was still feeling the cool breath of eucalyptus in my lungs when we stretched out by the busy pool, where we revisited a "" quiz we'd started a couple months before. It is definitely important to discuss things like "Is my debt your debt?" and "Do we like each other's parents?" with your partner. It's also good to be horizontal and on vacation while doing it. Friends in Oakland had introduced us to a ripe, slightly spicy red blend called Mordecai. 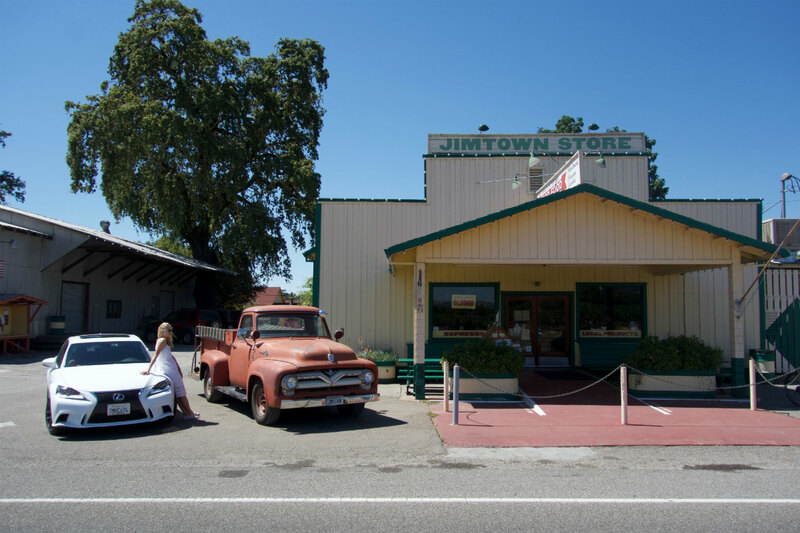 It's by , which has a storefront in Healdsburg, so when we found ourselves in Sonoma's most walkable town later that day, it seemed like a no-brainer to swing by. 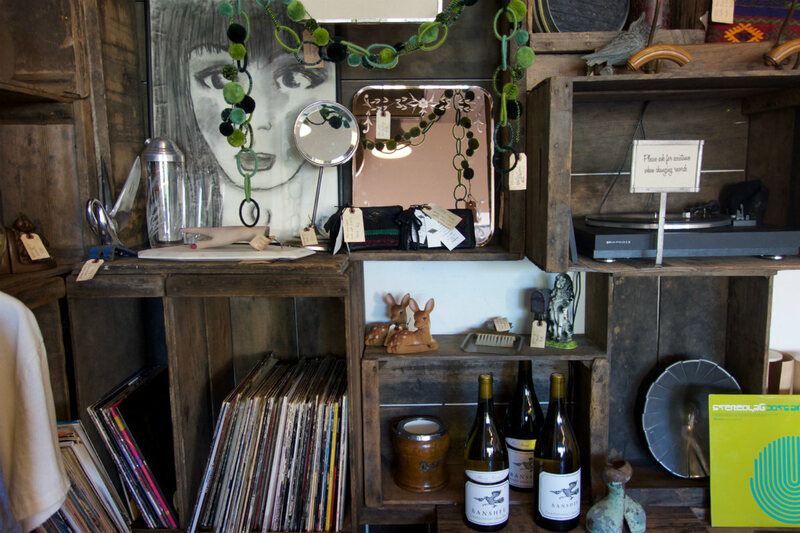 The place is an Ace Hotel among tasting rooms, with vinyl albums playing and manly vintage decor. Our server confessed that the namesake of our beloved Mordecai was the falcon from The Royal Tenenbaums. Sometimes I shake my head at hipster thinking, even as I enjoy the hell out of it. This was one of those times. We were feeling the effects of our Banshee flights — especially Dana, who wasn't driving. "I wonder if there's a cool place to go dancing in Healdsburg," she mused. It was 6 p.m. We wandered through a few boutiques, and after some careful deliberation I bought her a white trucker hat emblazoned with "BRIDE" in gold letters: a pre-honeymoon souvenir for the ages. Mellower and steadier by this point, we sat down to dinner on the patio at , in Glen Ellen, for peppery burrata with fresh cherry tomatoes, and gnocchi Bolognese with a hint of cinnamon. No less enjoyable than the flavorful osteria was the service: as warm and generous as the act of bringing someone food should be. I wished we had more of this in New York. Things were more formal the next day at . All the other couples at the 11 a.m. food-and-wine pairing were celebrating something — birthday, anniversary, Iron Man — and the room buzzed with the giddy, nervous energy of a special occasion. The highlight for me, apart from the revelation of beets smoked over applewood chips, was the Wagyu beef, flecked with salt crystals, sweetened with Korean barbecue sauce, and washed down with sips of velvety Anthem Meritage. Picnicking at Doran Regional Park. Here it was, barely noon, and once again we found ourselves dinner-full. Rather than take the easy route — a siesta — we headed north to walk under towering trees at , then west along the woodsy back road known as the "Bohemian Highway." We stopped at , Sonoma's (warmer, groovier, older, less pretentious) answer to Napa's Bouchon Bakery, and bought a chewy, jalapeno-spiced bread loaf, then popped into the cheese shop next door and picked up chèvre and truffle honey to go with it. 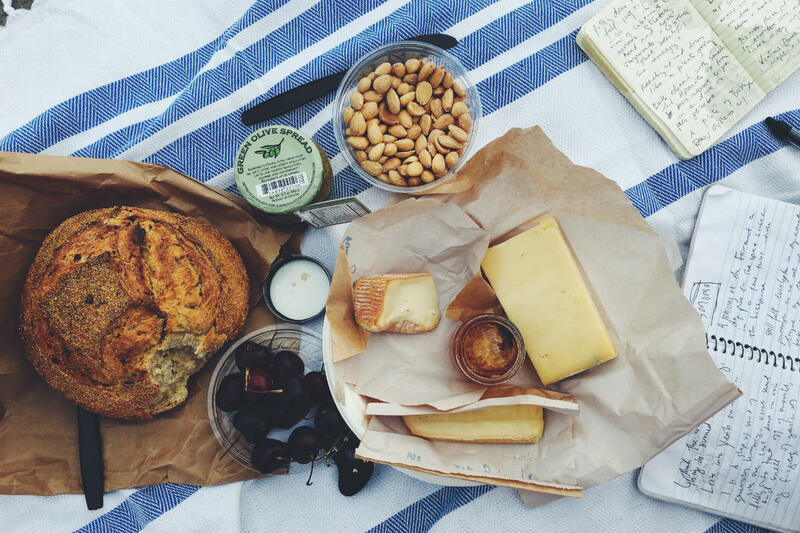 Add a bag of fresh cherries from a roadside stand and voilà, we had the fixings for a late-afternoon picnic at . 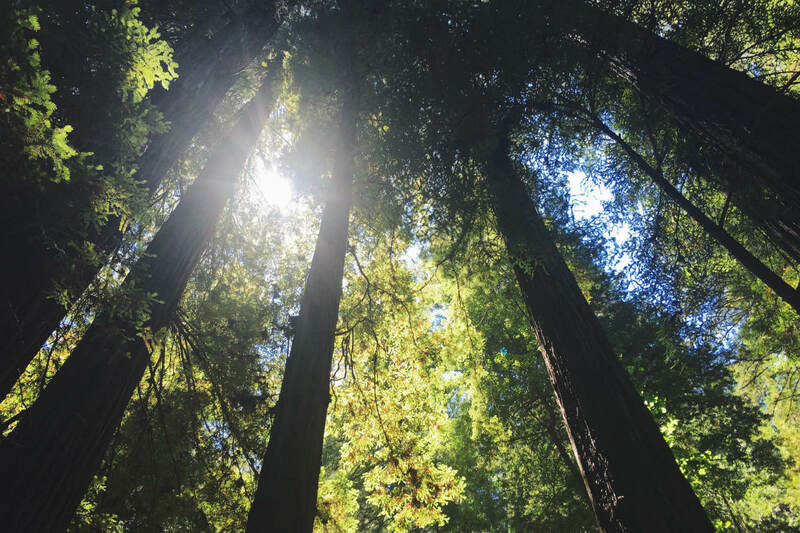 Redwoods, beach, yuppies, hippies, and a five-mile stretch of the Pacific Coast Highway— in a single day, we'd tasted broadly of the NoCal smorgasbord. And we even made some progress on the seating chart for our wedding before bed. On our last day, we finished strong: a morning hike through the woods and tawny grasslands of primed us for a late lunch at Sonoma's . The sommelier there — clearly a reader of minds — suggested a Viognier from , in Glen Ellen. (Pear, green apple, bright acid.) We chewed through a tasty fig-and-arugula salad and hit a complementary home run with the quiche. It was not simply creamy but downy, like a sleeping bag you crawl into at day's end. It was last-meal-on-of-your-life good. Less airy was the dessert trifle, whose blasts of sweet caramel set off all kinds of alarm bells inside me. I loved it — but also approached with caution. Dana didn't. When all was over, she dropped her spoon like a hot mic and declared herself too spent even to perform the "." You see why I love her. We could have ordered cappuccinos for a jolt. Instead, our pick-me-up came in the form of Jamie Kutch, whose winery is based in a warehouse just south of downtown Sonoma. A New York transplant, Kutch exudes purposeful energy and focus. Where he once applied both to banking, now he's turned his powers almost fully towards pinot noir. (He sells to the likes of the Daniel Boulud empire, but only to regular folks if they're on his mailing list.) His is a precise, two-person operation, one governed by the refined values of the Burgundy winemakers he clearly holds in high regard. He times his grape-picking to the day, and counts himself among the one percent of Sonoma winemakers who leave the stems on. It's an old-fashioned practice, but also, he claims, a superior way of adding tannins and keeping the alcohol levels classy. He describes his wines as "lean," as opposed to the "buttery" chardonnays and "jammy" reds that helped Napa winemaking explode decades ago. And he had plenty of bright, sweet adjectives for life in California wine country. After five days there, on the most romantic road trip we've ever done, we could start to appreciate what he meant. Darrell is a freelance writer based in New York City. His articles have appeared in The Wall Street Journal, Departures, Afar, Travel + Leisure, and other outlets. He is co-founder of the website . He travels for mental stimulation and for a change of air.